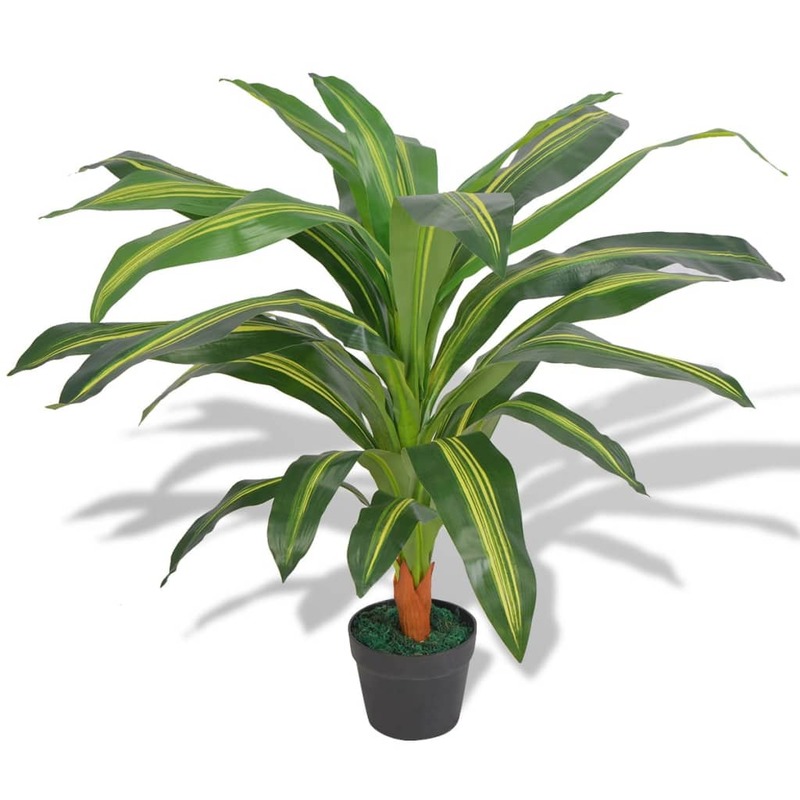 Add some greenery to your interior with this lifelike artificial dracaena plant. 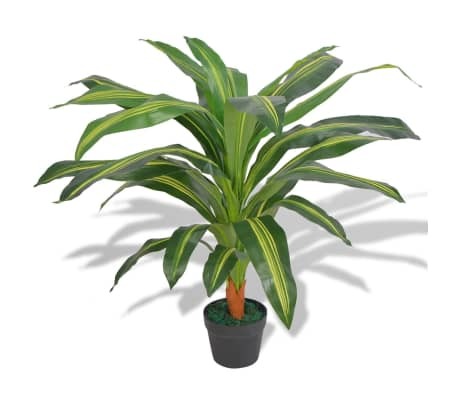 The dracaena is 35.4" high and will be the perfect choice for your home or office interior. 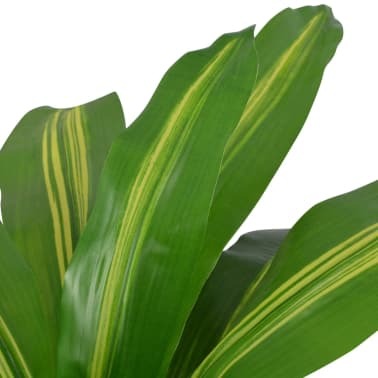 The plant has 25 leaves with perfect details, giving it a full, realistic look, and it will never wither. The leaves have green and yellow color variations for a realistic look and feel. 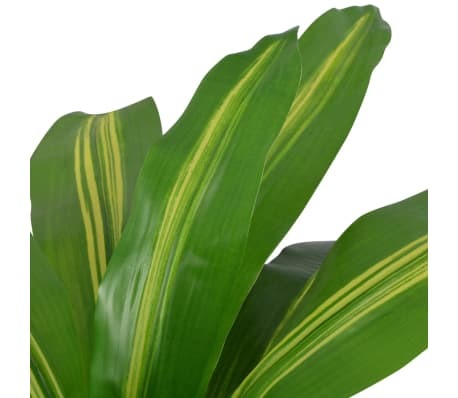 This decorative artificial plant is made of high-quality materials and very durable. It is ideal for those who do want to have some plants in their home but lack the time to care for them. Delivery includes 1 artificial plant and 1 pot.